Home Why is my Cable TV Pricing increasing? Why is my Cable TV Pricing increasing? Local TV stations are demanding increasingly higher fees to be included on TV Provider’s line-ups, even though they are still available free over-the-air. 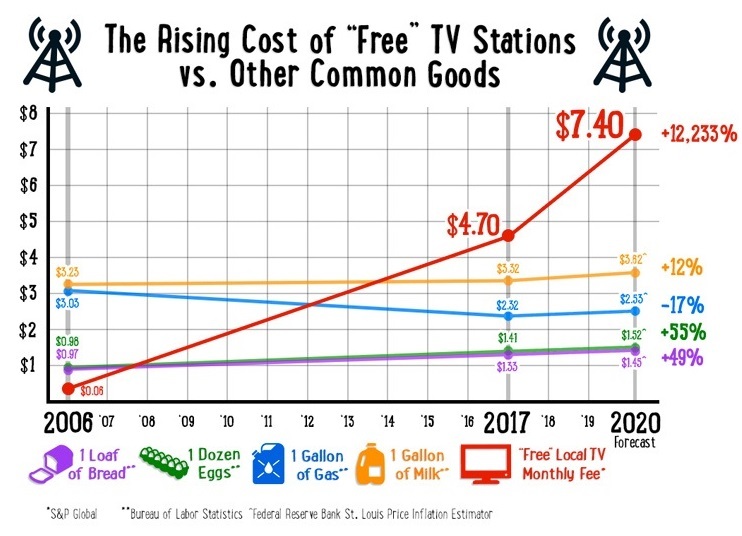 National broadcast networks are adding to the burden by demanding a cut of local stations’ fees. If their demands are not met, they pull their signals from their viewers and ask you to complain to your TV Provider, leaving you without your favorite programming until an agreement is reached. And if those fee demands are met, it results in higher prices for you. For questions please email us.